What are the largest technology support/services companies in Clark County? We ranked them by number of FTEs. Figures as of 5/18/17. Centerlogic Inc: 975 commercial clients billed in last 12 mo. On Line Support Inc: 500 commercial clients billed in last 12 mo. Accent Business Services Inc: 470 commercial clients billed in last 12 mo. Computers Made Easy Inc: 456 commercial clients billed in last 12 mo. Creative Computer Solutions Inc: 325 commercial clients billed in last 12 mo. 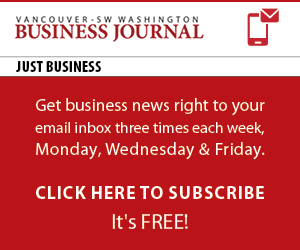 To view the rest of Clark County’s technology support/services companies, check out the June 9, 2017 edition of the Vancouver Business Journal. The list includes scope of service, top local executive information and more. Organizations that do not respond to list questionnaires are not included. Our 2017 Book of Lists is also available in print or electronic form here.